Dezignext Technologies provides more than 100+ 2D/3D Modeling, BIM, CAD, Design, Graphics, Video, IT, Security and Business training courses throughout Orlando, FL. Whether you're looking for customized onsite CATIA training for a private group throughout the Orlando, FL area or an instructor-led online CATIA class, Dezignext Technologies Learning has the solution for you. 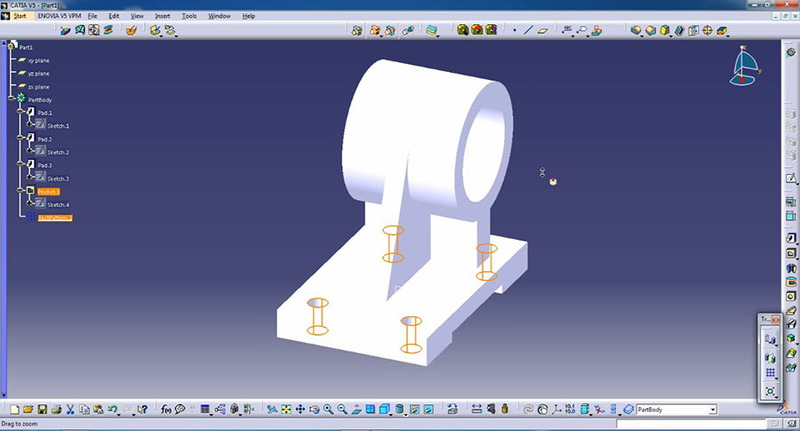 Learn the process of designing models with CATIA from conceptual sketching, through to solid modeling, assembly design, and drawing production. Upon completion of this training course you will have acquired the skills to confidently work with CATIA. Gain an understanding of the parametric design philosophy of CATIA in this extensive hands-on training course. It is expected that all new users of CATIA need to complete this training course. Dezignext Technologies offers organizations in or around Orlando, FL hands-on-intensive CATIA Training and Certification Classes to empower you with the most recent tools and techniques for accelerating your personal skills and career. Our certified trainers have years of experience in delivering comprehensive CATIA Courses to help you achieve skills and techniques you desire.